A new tool called EEGGL – short for the Eruptive Event Generator (Gibson and Low) and pronounced “eagle” – helps map out the paths of these magnetically structured clouds, called coronal mass ejections or CMEs, before they reach Earth. 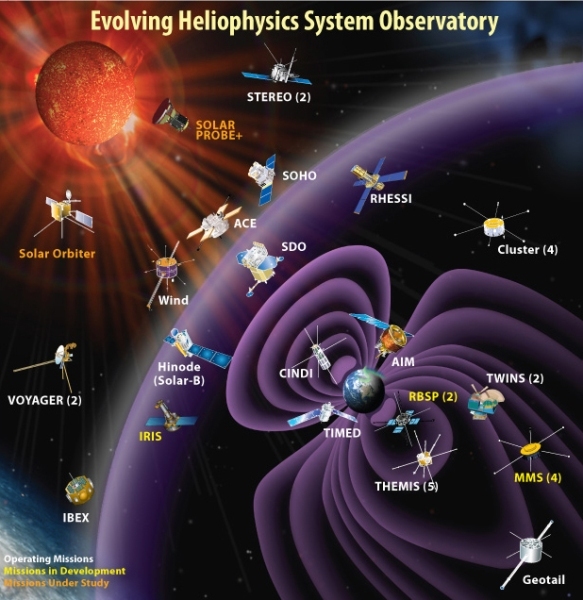 EEGGL is part of a much larger new model of the corona, the Sun’s outer atmosphere, and interplanetary space, developed by a team at the University of Michigan. 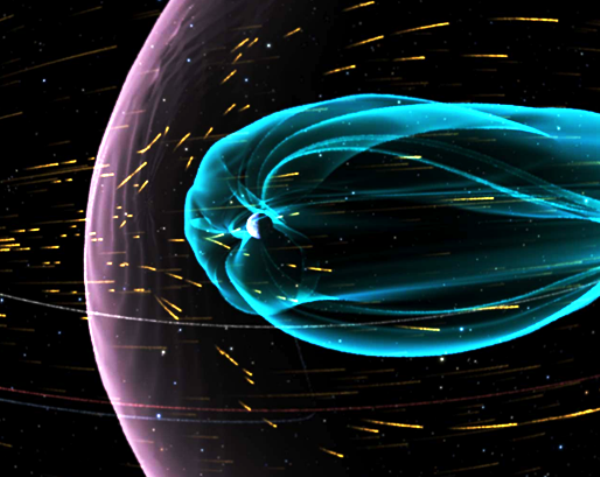 Built to simulate solar storms, EEGGL helps NASA study how a CME might travel through space to Earth and what magnetic configuration it will have when it arrives. The model is hosted by the Community Coordinated Modeling Center, or CCMC, at NASA’s Goddard Space Flight Center in Greenbelt, Maryland. 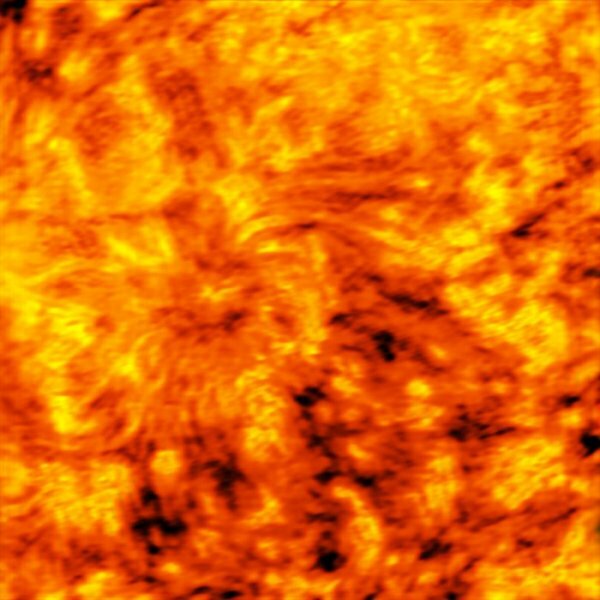 Caltech applied physicists have experimentally simulated the Sun’s magnetic fields to create a realistic coronal loop in a lab. Coronal loops are arches of plasma that erupt from the surface of the Sun following along magnetic field lines. Because plasma is an ionized gas—that is, a gas of free-flowing electrons and ions—it is an excellent conductor of electricity. As such, solar corona loops are guided and shaped by the Sun’s magnetic field. 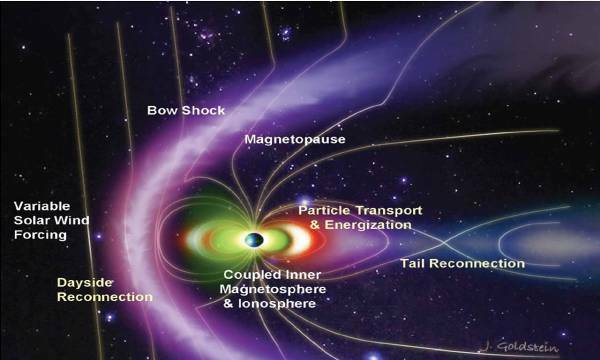 The Earth’s magnetic field acts as a shield that protects humans from the strong X-rays and energized particles emitted by the eruptions, but communications satellites orbit outside this shield field and therefore remain vulnerable. In March 1989, a particularly large flare unleashed a blast of charged particles that temporarily knocked out one of the National Oceanic and Atmospheric Administration’s geostationary operational environmental satellites that monitor the earth’s weather; caused a sensor problem on the space shuttle Discovery; and tripped circuit breakers on Hydro-Québec’s power grid, which caused a major blackout in the province of Quebec, Canada, for nine hours. “This potential for causing havoc—which only increases the more humanity relies on satellites for communications, weather forecasting, and keeping track of resources—makes understanding how these solar events work critically important,” says Paul Bellan, professor of applied physics in the Division of Engineering and Applied Science. Although simulated coronal loops have been created in labs before, this latest attempt incorporated a magnetic strapping field that binds the loop to the Sun’s surface. Think of a strapping field like the metal hoops on the outside of a wooden barrel. While the slats of the barrel are continually under pressure pushing outward, the metal hoops sit perpendicularly to the slats and hold the barrel together. The strength of this strapping field diminishes with distance from the Sun. This means that when close to the solar surface, the loops are clamped down tightly by the strapping field but then can break loose and blast away if they rise to a certain altitude where the strapping field is weaker. These eruptions are known as solar flares and coronal mass ejections (CMEs). 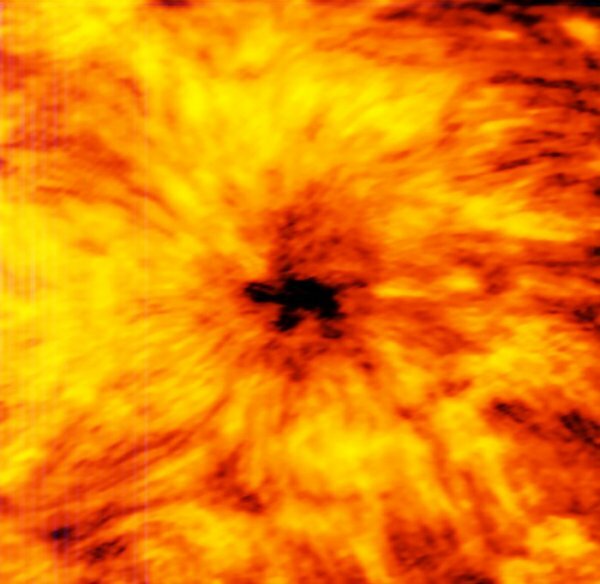 The simulated loops and strapping fields provide new insight into how energy is stored in the solar corona and then released suddenly. Bellan worked with Caltech graduate student Bao Ha (MS ’10, PhD ’16) to create the strapping field and coronal loop. The results of their experiments were published in the journal Geophysical Research Letters on September 17, 2016. Bellan and his colleagues have been working on laboratory-scale simulations of solar corona phenomena for two decades. In the lab, the team generates ropes of plasma in a 1.5-meter-long vacuum chamber. Simulating a strapping field with strength that fades over the relatively short length of the vacuum chamber proved difficult, Bellan says. In order to make it work, Ha and Bellan had to engineer electromagnetic coils that produce the strapping field inside the chamber itself. After more than three years of design, fabrication, and testing, Bellan and Ha were able to create a strapping field that peaks in strength about 10 centimeters away from where the plasma loop forms, then dies off a short distance farther down the vacuum chamber. The arrangement allows Bellan and Ha to watch the plasma loop slowly grow in size, then reach a critical point and fire off to the far end of the chamber. Next, Bellan plans to measure the magnetic field inside the erupting loop and also study the waves that are emitted when plasmas break apart. Breaking News: Is Earth’s Atmosphere Leaking? Here’s the fact: the Earth’s atmosphere has always been “leaking” – sometimes more than others. Once again, it truly is the Science of Cycles that wins the day. The question really at hand here is; what is the cause of these cyclical expansion and contraction periods? For those of you who have been following my work already know the answer. 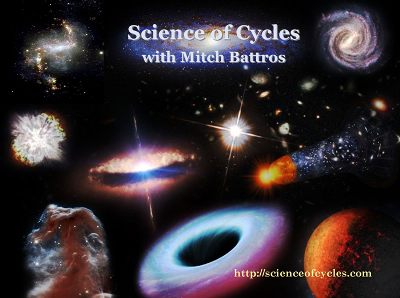 But of course there are always new people discovering ScienceOfCycles.com so I must present where my research leads us. Now I am very happy to say, it is not just my research but several other recently published papers from Universities and governmental agencies have also discovered this new awareness of cycles that extend to our galaxy Milky Way and beyond. 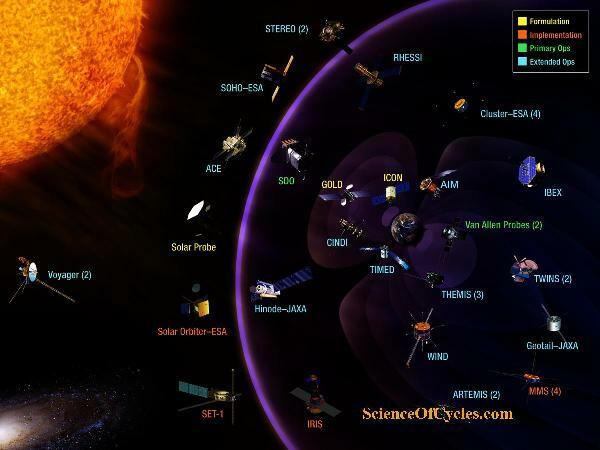 Our home Earth, protects us from most seriously dangerous radiation and electrical surges. It does so by creating a magnetic field which is produced through the geodynamic process of convection in the outer cores liquid iron producing currents. What we are witnessing today, is Earth’s natural ability to maintain its ambient rotation and orbital balance. Currently, the Earth’s magnetic field is weakening, which therefore allows a greater amount of charged particles and plasma to enter our atmosphere. As a result, Earth’s core begins to overheat. 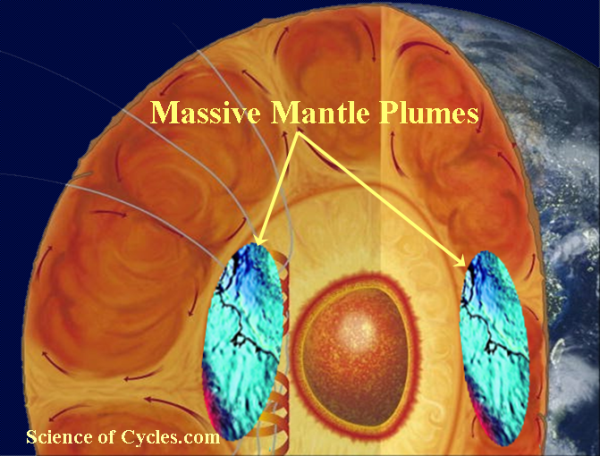 As a way to expend this overheating, Earth produces more mantle plumes which works their way up through the upper mantle, advances into the asthenoshpere, extends through the lithosphere, and breaks through the crust. This process markedly resembles that of humans when become overheated ‘sweat’ through their pores cooling the body. The opposite occurs when the Earth’s core becomes slightly too cool, then mantle plumes dissipate, oceans and atmosphere begin to cool and temperatures may fluctuate and lower…then the cycle starts all over again. The time period between these warming and cooling trends do in fact vary, however, they do maintain short-term, moderate, and long-term cycles. This could be 11 year, 100 year, 1000 year and etc. I have no illusion of my work being recognized by the major world space agencies, I do not have the pedigree nor do I have some form of contractual agreement with them. However, I have been able to maintain my connection with some of the brightest scientists who do in fact work for said agencies and Universities. Some might call me a colleague, others I surely call my mentors. There will be a time in the not to distant future when you will see my 2012 Equation being announced to the public. But it will not be my name attached to this new discovery. I can assure you it will be one from our government space agency, or Europe or Netherlands. All of which is truly fine with me. And if it’s one with whom I have been working with, I will clap the loudest. (NASA) Earth’s atmosphere is leaking. Every day, around 90 tons of material escapes from our planet’s upper atmosphere and streams out into space. Although missions such as ESA’s Cluster fleet have long been investigating this leakage, there are still many open questions. How and why is Earth losing its atmosphere – and how is this relevant in our hunt for lie elsewhere in the Universe? Given the expanse of our atmosphere, 90 tons per day amounts to a small leak. Earth’s atmosphere weighs in at around five quadrillion (5 × 1015) tons so we are in no danger of running out any time soon. 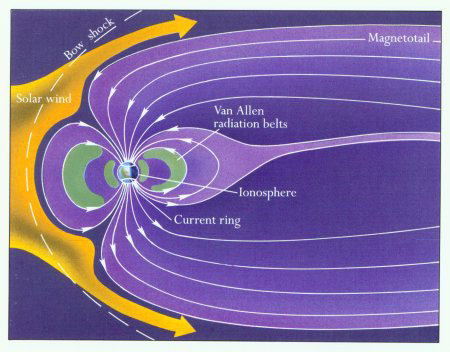 The magnetosphere – and its inner region (the plasmasphere), a doughnut-shaped portion sitting atop our atmosphere, which co-rotates with Earth and extends to an average distance of 12,427 miles (20,000 km) – is flooded with charged particles and ions that are trapped, bouncing back and forth along field lines. At its outer sunward edge, the magnetosphere meets the solar wind, a continuous stream of charged particles – mostly protons and electrons – flowing from the Sun. Here, our magnetic field acts like a shield, deflecting and rerouting the incoming wind as a rock would obstruct a stream of water. 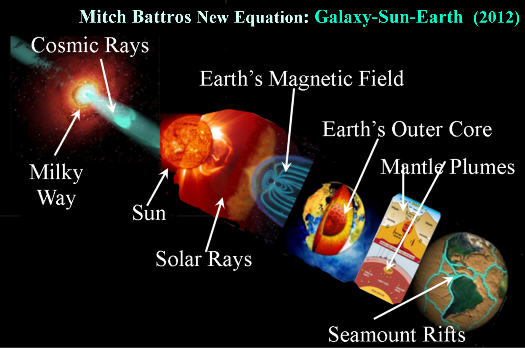 This analogy can be continued for the side of Earth further from the Sun – particles within the solar wind are sculpted around our planet and slowly come back together, forming an elongated tube (named the magneto-tail), which contains trapped sheets of plasma and interacting field lines. Just as particles can head inwards down these open polar lines, particles can also head outwards. Ions from Earth’s upper atmosphere – the ionosphere, which extends to roughly 621 miles (1000 km) above the Earth – also flood out to fill up this region of space. Although missions such as Cluster have discovered much, the processes involved remain unclear. 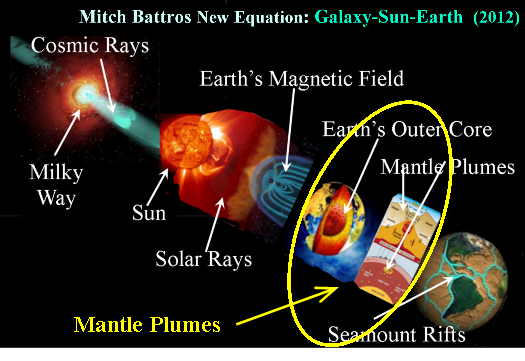 Initially, scientists believed Earth’s magnetic environment to be filled purely with particles of solar origin. However, as early as the 1990s it was predicted that Earth’s atmosphere was leaking out into the plasmasphere – something that has since turned out to be true. Given the expanse of our atmosphere, 90 tons per day amounts to a small leak. Earth’s atmosphere weighs in at around five quadrillion (5 × 1015) tons so we are in no danger of running out any time soon. More recent studies have unambiguously confirmed another source – Earth’s atmosphere is constantly leaking! Alongside the aforementioned plumes, a steady, continuous flow of material (comprising oxygen, hydrogen and helium ions) leaves our planet’s plasmasphere from the polar regions, replenishing the plasma within the magnetosphere. Cluster found proof of this wind, and has quantified its strength for both overall (reported in a paper published in 2013) and for hydrogen ions in particular (reported in 2009). Overall, about 2.2 pounds (1 kg) of material is escaping our atmosphere every second, amounting to almost 90 tons per day. Singling out just cold ions (light hydrogen ions, which require less energy to escape and thus possess a lower energy in the magnetosphere), the escape mass totals thousands of tons per year. Solar storms and periods of heightened solar activity appear to speed up Earth’s atmospheric loss significantly, by more than a factor of three. However, key questions remain: How do ions escape, and where do they originate? What processes are at play, and which is dominant? Where do the ions go? And how? One of the key escape processes is thought to be centrifugal acceleration, which speeds up ions at Earth’s poles as they cross the shape-shifting magnetic field lines there. These ions are shunted onto different drift trajectories, gain energy and end up heading away from Earth into the magneto-tail, where they interact with plasma and return to Earth at far higher speeds than they departed with – a kind of boomerang effect. Such high-energy particles can pose a threat to space-based technology, so understanding them is important. Cluster has explored this process multiple times during the past decade and a half – finding it to affect heavier ions such as oxygen more than lighter ones, and detecting strong, high-speed beams of ions rocketing back to Earth from the magneto-tail nearly 100 times over the course of three years. 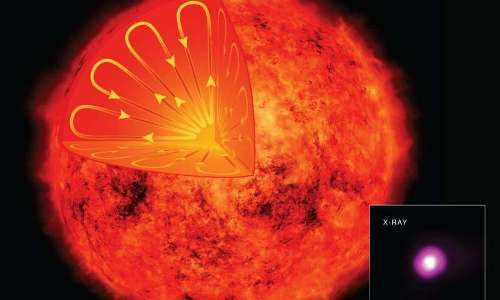 More recently, scientists have explored the process of magnetic reconnection, one of the most efficient physical processes by which the solar wind enters Earth’s magnetosphere and accelerates plasma. 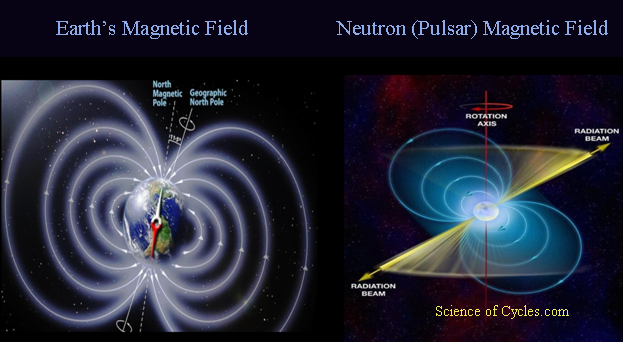 In this process, plasma interacts and exchanges energy with magnetic field lines; different lines reconfigure themselves, breaking, shifting around and forging new connections by merging with other lines, releasing huge amounts of energy in the process. Recently, scientists modeled and simulated Earth’s magnetic environment with a focus on structures known as plasmoids and flux ropes – cylinders, tubes, and loops of plasma that become tangled up with magnetic field lines. 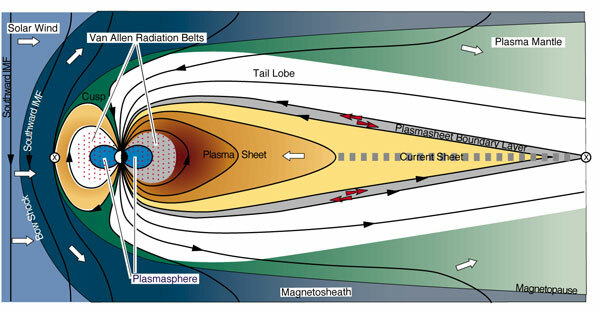 These arise when the magnetic reconnection process occurs in the magnetotail and ejects plasmoids both towards the outer tail and towards Earth. Cold ions may play a significant role in deciding the direction of the ejected plasmoid. These recent simulations showed a link between plasmoids heading towards Earth and heavy oxygen ions leaking out from the ionosphere – in other words, oxygen ions may reduce and quench the reconnection rates at certain points within the magneto-tail that produce tail-ward trajectories, thus making it more favorable at other sites that instead send them Earthwards. These results agree with existing Cluster observations. 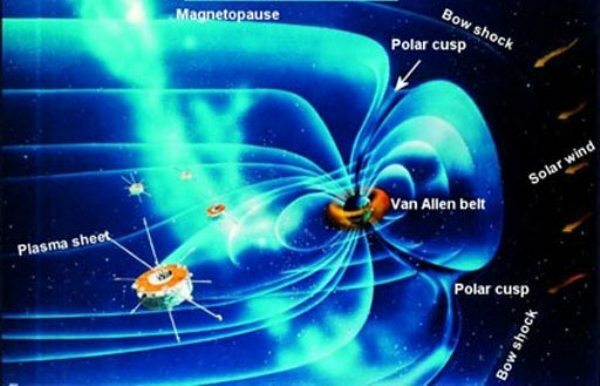 Both escape processes appear to depend in different ways on the Interplanetary Magnetic Field (IMF), the solar magnetic field that is carried out into the Solar System by the solar wind. This field moves through space in a spiraling pattern due to the rotation of the Sun, like water released from a lawn sprinkler. 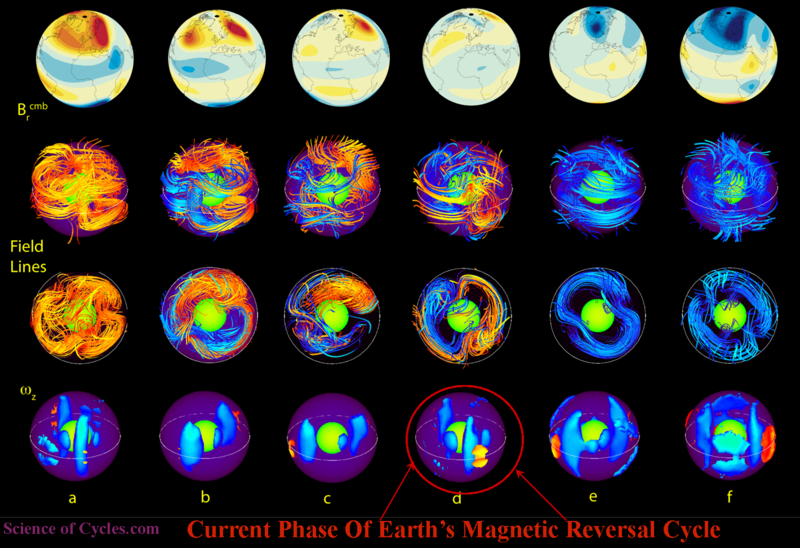 Depending on how the IMF is aligned, it can effectively cancel out part of Earth’s magnetic field at the magnetopause, linking up and merging with our field and allowing the solar wind to stream in.